Lovely Craftsman house in Laurelhurst with snowdrops galore! I spent last weekend in Portland (Oregon, in case some of you might have thought I was very ambitious and had popped across to Maine for a couple of days). Portland is just far enough from Vancouver to make any visit there feel special (I take the proximity of Seattle for granted so much that I’ve never actually visited) and it more than rewards its visitors with wonderful neighbourhoods, excellent restaurants, and, of course, one of the largest book stores in North America. Thanks to a long weekend in BC, I was able to spend three nights in Portland and packed quite a lot in to the visit. 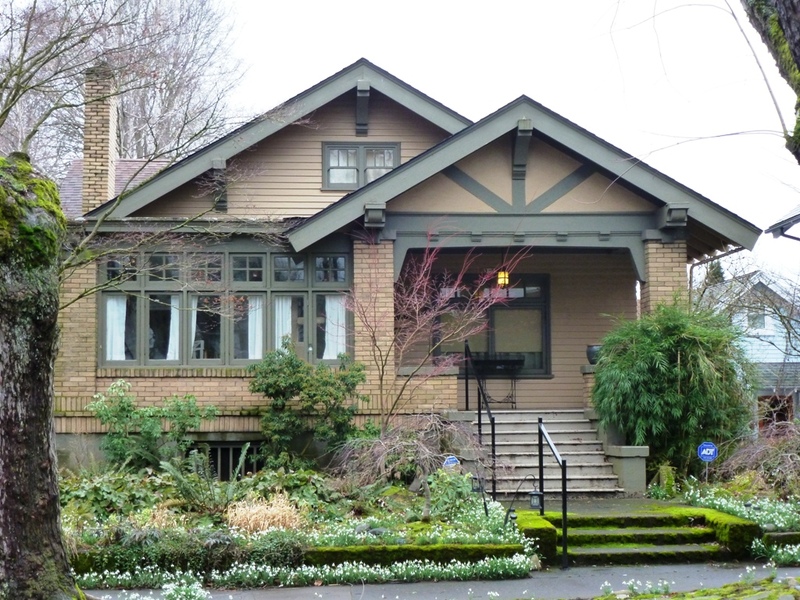 I visited neighbourhoods I had never seen before (Laurelhurst made me nostalgic for the way Vancouver used to look – and for the prices we used to have! ), stood in line with hipsters for twenty minutes at Salt and Straw for ice cream (a scoop of Strawberry Honey Balsamic with Black Pepper that was actually worth the wait), revisited favourite restaurants, attended the very enjoyable Italian Style exhibition (on loan from the V&A) at the Portland Art Museum, and visited Powell’s bookstore. Twice. Dr. Wortle’s School by Anthony Trollope – it is never a bad thing to grow one’s Trollope collection. Anthony Trollope by Victoria Glendinning – Audrey has been reading this and sharing wonderful excerpts from it. Talks with T.G. Masaryk by Karel Čapek – an interview of Czechoslovakia’s first president by one of its great writers. I’ve been meaning to add this to my collection of Czech books for years. The Letters of Sylvia Townsend Warner edited by William Maxwell – STW is possibly the best letter writer I’ve ever come across. A collection edited by Maxwell – a close friend and equally devoted correspondent – promises to be good. The Virago Book of Women Gardeners – a wonderful collection (and one of my favourite books that I read in 2014). Essentials of Classic Italian Cooking by Marcella Hazan – Hazan is frequently mentioned by many of my favourite food bloggers and, having fallen completely for the few recipes of hers that I have tried, I knew I had to add this cookbook to my collection. Now to find somewhere to put these books – my shelves were already overflowing! I’m so glad you found the Trollope biography. I was thrilled to find a copy a few weeks ago- definitely a book I was wishing for my own copy of. Twice to Powell’s on one visit – I’ve never managed that! I recently ordered a couple of books from them, which I was glad to find, but that doesn’t compare with browsing that incredible store. I have failed twice to connect with the Dvina book, but I didn’t know there is a sequel about India, and I am intrigued. Hey, Seattle is worth a visit too, even though it doesn’t have Powell’s. As for me, I hardly ever went to Portland when it was 3 hours away — visiting Vancouver seemed more glamorous. Wish I had taken advantage of the opportunity at the time. Ah, a book-buying holiday is the best kind! Great haul! If you like reading a great collection of letters, try the correspondence between William Maxwell and Eudora Welty–title is something like “We Have Said All There Is To Say.” Since I am new to your blog (which I like very much–I’m always on the lookout for tips on books to read), this could be something you have already read. But since Eudora is my all-time favorite writer, I found reading their letters a delightful experience. You can almost hear the voices (and I know what hers sounds like as I had the pleasure of hearing her read years ago at a reading she did with Reynolds Price). A visit to Powell’s would be a real treat. The Strand is a favorite in the Big Apple, and I now have a few to add to my favorites list in Paris. Beautiful picture to show off your new books! I’ve only been to Portland the one time – a six hour drive each way seems like a bigger commitment than hopping to Seattle. I can’t believe you haven’t been to Seattle! You must go! This post really just made me want to go back to Portland. And I agree with you about it being reminiscent of what Vancouver used to be like. I live in Portland and I’m glad you were able to visit and enjoy yourselves! Laurelhurst had always been one my favorite neighborhoods. Come visit again sometime! Oh, I do love seeing a good haul! 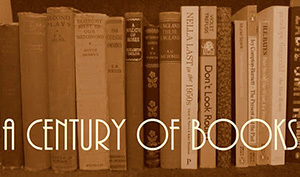 Especially the STW letters, of course; I have those on my shelf, but have only dipped in and out so far. Its one of my favorite cities. I live less than a hour away and go all the time. Great quirky neighborhoods to walk around, good food and wine, bookstores, coffee shops. Definitely come try it. Lovely photo, btw. Nice one. I adore Portland and I do love the Craftsman homes, but Seattle will always have my heart. Sounds like you had a lovely trip. I’ve been reading Alicia Paulson’s lovely Posie Gets Cozy for many years, yet I never knew that those homes where called the Craftsman style of house until you mentioned it, so thank you. I’ve never been to the West coast so Portland is still a dream trip for me. Love those stacks of books.